Rated 3 out of 5 by Nancy4130 from too thick I found it to be too thick for me and I think I picked the wrong color. I had a sample that was a lighter color that worked better for me. Next time I will consider trying a lighter color and the Bye Bye Under Eye concealing pot. Maybe that is not as thick. I wish that came in a sample so I could check out the consistency. Rated 5 out of 5 by Nay5 from concealer Goes on very smoothly after you rub it on the back of your hand. I love it and it really covers well!!! Rated 5 out of 5 by Tye001 from Great product! I am delighted that I made this purchase. Trying to rid myself of chemical based products . This put me one step closer to doing that! I am an It girl now! Rated 5 out of 5 by CassieK from Does what it says it will. I am in my late 40s and additionally have some hereditary under eye issues. Covers well, doesn't cake up or settle for most of day. At days end, there is a little creasing. A quick, light swipe with the tip of your ring finger and their gone again. Also tried bye bye under eye serum and bye bye lines, love everything I've tried so far. Shipping is fast and sometimes they have really good deals online to try new things or free samples. Very satisfied with all of my purchases so far. No sensitivity. Good stuff. Rated 5 out of 5 by GinaD04 from Best under eye concealer Just repurchased. This is the best concealer for dark circles. You only need to use a tiny bit. The best application is either a wet sponge or your fingers. Rated 5 out of 5 by Eyes from Works Great I have always struggled with under eye circles and discoloration. I am a makeup artist and have used many different products. This is AMAZING!! For those of you who think it is too think, Place it on your hand first, rub it to break it down and apply to your eyes. If it’s too thick you are using too much of the product!!! I LOVE this and have used it for over 6 years!!! Rated 2 out of 5 by Cbruiser from Good but fell apart I was really excited about this product, works really well. But it completely crumbled apart a couple weeks after I bought it, so it ended up being a waste of money. Rated 5 out of 5 by Nicola B from Life Changing I consistently am told in”look tired”. I have tried just about everything to brighten and lighten under my eyes but I wasn’t amazed immediately upon trying this product it instantly smoothed and dramatically made a difference -so happy! Rated 2 out of 5 by Carrie1 from Not all it’s cracked up to be I bought this in hopes of covering my dark under eye circles. It didn’t do a great job covering and in the hot Florida sun this just did not hold up. Rated 2 out of 5 by auggie from too shiney i bought this product a year ago and it worked great. The Bye Bye Undereye I recently received is NOT THE SAME....Package is different and product is way too shiney, even with translucent power. Rated 5 out of 5 by McAnxious from Love the consistency I was a little nervous about trying to match my skin color online. Using models with different skin/haircolor combos is a brilliant way to help solve this dilemma. Also, the texture and lasting power of this produce is excellent. Easy to pat in and stays all day. Very, very happy with this product. Rated 5 out of 5 by ronteri from I love the concealer. I have used it before and I don't think anything concreals dark circles like this one. I am 68 years old and won't buy any other concealer!! Rated 5 out of 5 by Anonymous from My Favorite! This concealer is my life! I received it for the first time in my IPSY bag and I was super sad when it was almost gone. I had to buy more so I went on the IT website to order more. I was shocked by the price and was hesitant on purchasing. But a little bit goes along ways and I feel the tube will last a long while. I love how it covers my entire face, covers blemishes, and feels soft and like I am not even wearing anything. I am so in love with this product! I will never go back to another concealer! So worth the money! And shipping was super fast!! Rated 5 out of 5 by mellavonhrocks from I love this product!! I've never come across a product that worked so well for my under eyes! It's smooth, ALOT goes a long way and it doesn't dry out my skin. IT is my new favorite brand and I recommend it to all!! Rated 1 out of 5 by arlee59 from 75% air and 25% product I received these from my daughter as one of her Christmas gifts for me. She bought them from QVC. In the last 2 years I have used this product, purchased from Ulta and Sephora beauty stores. I can recall in that time there were some tubes not filled. I like the product but afraid to purchase it anymore. Unless after I purchase this in store ask to open it and always press starting from bottom up. Not a good value. Hope the problem can be fixed. Rated 5 out of 5 by NANCYSKI from Covers zits and dark under eyes! I got this in my ipsy bag one month and I fell in love. It covers my bad zits and pimples and my dark under eyes. I use it all over my face not just under my eyes and it works so well. I cannot brag enough about this product. It's worth the money! The names of the Bye Bye Undereye concealer have changed. What is the new name of the original &ldquo;Medium (Light Medium)&rdquo;. The name quotations is the name on the tube but I can&rsquo;t find it anymore. I bought a few I thought were the same color but they aren&rsquo;t.
Hello. I wore the LIGHT MEDIUM shade it the old colors. What shade should I order now? Hi there! Thank you for reaching out to us. Based on the information provided, the Bye Bye Under Eye will work great to cover your skin's concerns! IT offers full coverage pigments to conceal the look of skin imperfections including dark circles, bags, redness, hyperpigmentation, discoloration and more! We are more than happy to assist you in finding your perfect shade match for flawless results. We invite you to Live Chat with us at itcosmetics.com so we can discuss this with you directly! We are available on Live Chat Monday-Thursday 8am-7pm and Friday-Saturday 9am-5pm EST. We look forward to speaking with you! XOXO Tina. I've worn BBUE in medium for a few years. I love it. Have you changed the ingredients now that you've added all the new shades? I'm highly allergic to certain makeup and the old BBUE was one of the only things i could wear. Hi! I currently wear Medium (light medium) in BBUE. My tube just ran out though, and I&rsquo;m not sure what shade that is now? Thank you! Hi! I am very unsure on what shade to pick. Do you have any recommendations for what shade to pick in the concealer if i use shade 15 in the fit me cncealer? I have natural /warm skintone. Hi there! Thank you for reaching out to us. Based on the information provided, we recommend looking into 12.0 Light Sand (W) in the Bye Bye Under Eye. We hope you try IT out. XOXO Tina. Hello! If i use light in the CC Cream, should i get light in this concealer? A girl at one of your counters suggested medium to me, even knowing i use the light CC cream. Is there a yes or no answer?? love the CC cream! Hi there! Thank you for your question. Based on the information provided, we recommend looking into the Medium shade 20.0 in Bye Bye Under Eye! We hope this helps. XOXO Tina. How is this concealer different than the other Bye Bye Under Eye&trade; Anti-Aging Concealer Waterproof? Hi there! Thank you for reaching out! The original Bye Bye Under Eye in the black tube is waterproof, the Bye Bye Under Eye Waterproof in the silver tube has been clinically tested waterproof for up to 12 hours! We hope this helps! XOXO Tina. I was going to replenish my concealer. My previous color was Medium(Light Medium). Now you have so many shades, I have no idea which one I would purchase. I love how it covers my under eye dark circles, however I notice that my eye makeup tends to smear under my eyes now. I usually wear shadow, and eyeliner top and bottom and mascara. Do I have to discontinue the liner on bottom lid to avoid this problem? Hi there! Thank you for your question. We are happy to assist you further with tips on applying your products. We invite you to Live Chat with us at itcosmetics.com so we can discuss this with you directly! We are available on Live Chat Monday-Thursday 8am-7pm and Friday-Saturday 9am-5pm EST. We look forward to speaking with you! XOXO Tina. I have never used Bye Bye Under Eye before. &nbsp;How do I choose which shade to get? Hi I use the cc+ medium so what colour would you reccomend for the under eye cream? I use in Prescriptives Level 1 warm and in Dermablend I use fair in eye concealers. I use Fresh Ivory in liquid makeup. What color should I choose? I use the Medium Tan CC cream. What shade concealer should I use? Hi there! Thank you for your question. 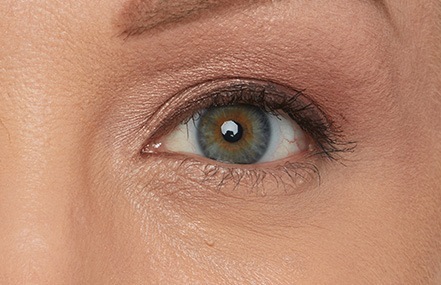 Based on the information provided, we recommend looking into the shade Medium Tan (21.0) in Bye Bye Under Eye! We hope this helps. XOXO Tina. Do you use a lighter color than your makeup? I use medium color for makeup. Hi there! Thank you for your question. If you wear the Medium shade in our foundations, you can also choose the same shade in Bye Bye Under Eye! We recommend looking into the shade Medium 20.0! We hope this helps. XOXO Tina. Does this have SPF coverage? Hi there! Thank you for your question. Bye Bye Under Eye is not formulated with tested SPF at this time. We hope this helps! XOXO Tina. What do the w, n and c mean after colors of under eye concealer?? Hi there! That is a great question. We&rsquo;ve made it easier than ever to find your perfect shade of Bye Bye Under Eye by including an undertone indicator in each of the 48 shade names: W (warm) N (neutral) and C (cool). If you need help determining your undertone, or selecting a shade, please reach back out to us for further assistance. We are happy to help you find your perfect shade match! XOXO Tina. Hi there! Thank you for reaching out to us. &quot;Neutral Medium&quot; is the former shade description to the Medium shade. We can confirm, the formula is the same best-selling, velvety rich formula that IT Girls and IT Guys have loved for the past 8 years. If this shade was suitable for you previously, you can select Medium 20.0! We hope this helps. XOXO Tina. I was wondering if this is buildable and is all the cc creams and foundations buildable? I use Your Skin But Better CC Cream in Light. &nbsp;What color concealer would be best for me? I have this in just &quot;light&quot;. What color would you suggest now that there are many more shades? 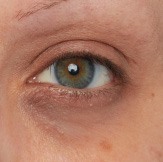 I have been using bye bye under eye in medium(light medium). &nbsp;What is the color name for that now? Hi there! Thank you for your question. The Bye Bye Under Eye formula did not change! If you wear the Medium shade, and find that IT is suitable for you, you can select Medium (20.0). We hope this helps! XOXO Tina.